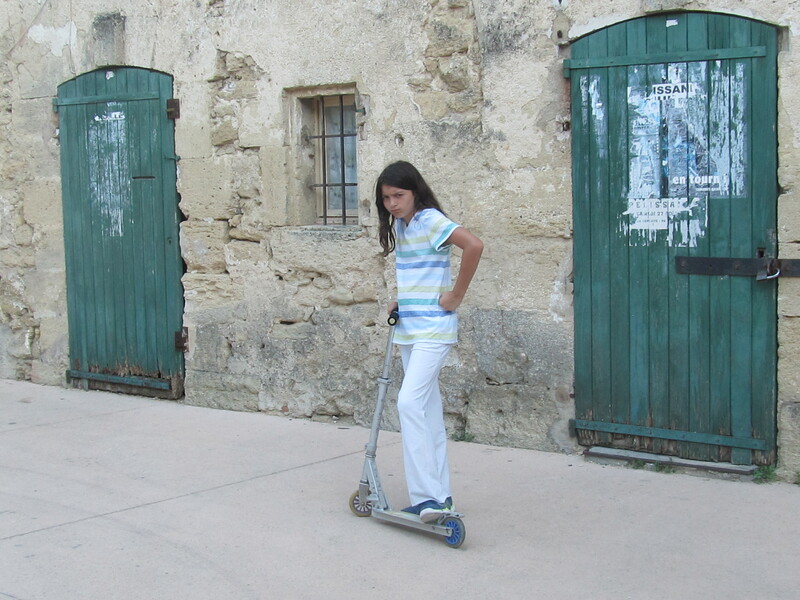 My daughter posing for me in the middle of the charming village we home exchanged in. Provence, 2013. Another interesting week of home exchange offers. I received two more offers from France. The first offer was for a very cute two bedroom apartment in the mountains in the Hautes-Pyrenees department and came with a car exchange. Of course this listing is too small for my large family, so is not one that I will be considering. I do want to point out here, that you do not have to own a large home to be eligible to try a home exchange. You don’t even need to own the property, you can be a renter. The second offer is for a beautiful 5 bedroom stone home on the coast of Bretagne (Brittany.) I am very much interested in this home and am currently discussing a potential exchange with the family who owns it. I have been dying to visit this northern coast of France, since I visited the Normandy coast, just east of it, in 2009. This particular home is in a wonderful location to visit places that interest me greatly, like St. Malo, Dinan, and Mont St. Michel, just to name a few. It’s also close enough to Paris, about a three hour drive, for us to revisit that wonderful city. The only issue with this home is that the family only has a VW Beetle Convertible to exchange. It’s a really cute car, but too small for my family. So, the very nice owner is currently trying to arrange for a larger car to offer us for exchange. I hope they are successful, because we are very interested in this wonderful home and location! This entry was posted in Uncategorized and tagged brittany, dinan, France, home exchange, mont st. michel, pyrenees, st. malo. Bookmark the permalink.